The TSA is quietly testing new screening procedures for carry-on bags that could make flying that much more cumbersome and invasive for travelers. The program has been rolled out at selected airports but may soon see implementation nationwide. RT America’s Brigida Santos reports. A US mother says her family were “treated like dogs” and “deliberately” kept from their flight by Dallas Fort Worth International Airport security, who carried out a pat down screening on her child. RT America’s Trinity Chavez has the story. First of all, the scanners have been found to tear apart human DNA. It is much worse than we could have ever expected! Second, what the TSA finds in people’s bags is crazy- and sometimes hilarious! The debate between liberty and security is one that the American people have been having for centuries. Indeed, Ben Franklin once famously said, “those who surrender freedom for security will not have, nor do they deserve, either one.” But in the wake of the September 11, 2001 terrorist attacks, many Americans – certainly not all, but many – are starting to come to terms with forfeiting a bit of their liberty in exchange for safety. When it comes to the Transportation Security Agency, it almost seems like the organization tries to inconvenience, embarrass, delay and now, even injure passengers, according to Reason magazine, which is libertarian in political philosophy. 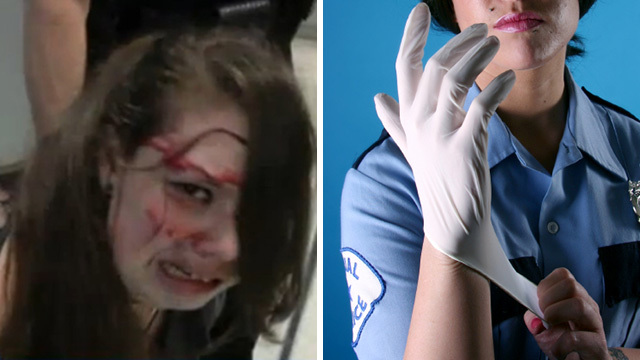 In what ought to be a firing and even prosecutorial offense, TSA agencies battered and bloodied an 18-year-old cancer patient recently, proving again that this is America’s most abusive – and useless – agency. For 17 of her years, Hannah Cohen and her family have shuttled between their Chattanooga home and Memphis so that she can receive treatment for a chronic brain tumor at the Memphis-based, St. Jude Children’s Research Hospital. On June 30, 2015, upon completion of her current cycle of treatment, Hannah and her mother, Shirley, were traveling through the Memphis International Airport to board a flight back to Chattanooga, just like they had been doing for years. But, the Cohens did not arrive back in Chattanooga later that evening. Rather, Hannah was jailed in Shelby County, but only after her face was bloodied and bruised following a confrontation between her and TSA agents. It should be noted that years of standard cancer treatments – which Natural News has long criticized – have left Hannah blind in one eye, partially deaf, limited in how well she can walk and talk, and easily confused – none of which seemed to matter that night to TSA agents. When Hannah moved through the metal detector at the airport, an alarm sounded. Thrown off by the noise, Hannah did not immediately comply with TSA agents who were trying to get her to move aside for additional screening. “They wanted to do further scanning, she was reluctant, she didn’t understand what they were about to do,” said Shirley. Her mother attempted to tell the agents about her daughter’s disabilities, according to local TV station WREG, but airport police moved in and kept her away. And that’s when the situation between Hannah and TSA agents got violent. “She’s trying to get away from them but in the next instant, one of them had her down on the ground and hit her head on the floor. There was blood everywhere,” said her mother, as reported by the station. To add insult to injury, security officials moved in and arrested Hannah (though all charges were dropped after the fact, and after traumatizing her), turning what should have been an evening of celebration into one of government-sponsored terror and a stint in jail. “Here we were with nowhere to go, not even a toothbrush, our bags had gone to Chattanooga,” said Shirley, as quoted by WREG. Sure they can. And who answers that phone call? And how does the information make it from the concerned passenger to the nincompoops standing in the way of passengers and a pleasant travel experience? That robotic, rehearsed, boilerplate response, with its nonsensical, impractical “solution,” is a prime example of why travelers hate the TSA, why it is never going to be reformed, and why Congress should re-relegate airport security to private firms focused on customer satisfaction (while still following federal travel guidelines). 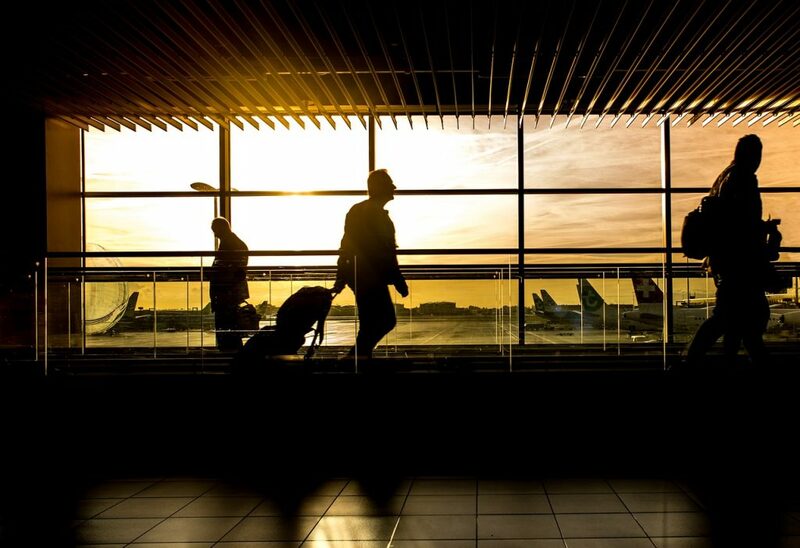 Calling ahead to get “information” about how to travel through an airport you’ve been through a billion times is not just stupid – it’s incomprehensible. Americans with special needs shouldn’t have to “get information” about how to move through a TSA checkpoint. Travelers who previously chose a pat-down at airports to avoid body scanners may no longer have the option. 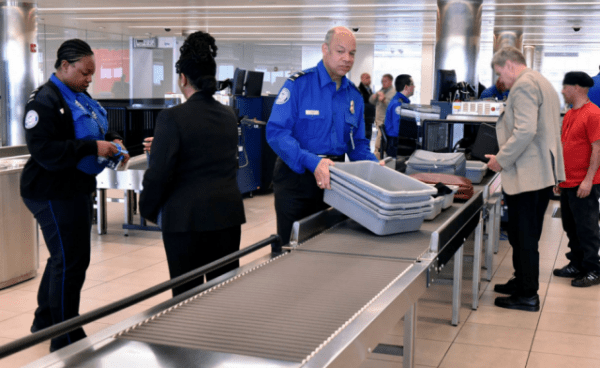 The US government quietly updated the rules concerning the use of body scanners, letting TSA agents make screening mandatory for some people. TSA has already been hit with a lawsuit over this action. Investigative journalist Danny Panzella talks to RT’s Simone Del Rosario, who says that people have opted out not just for privacy, but for health reasons.